Warcraft Looks: Plate Mogging Outfit - "The Golden Knight"
Plate Mogging Outfit - "The Golden Knight"
Today's outfit was spied on my home server and I just had to share it. 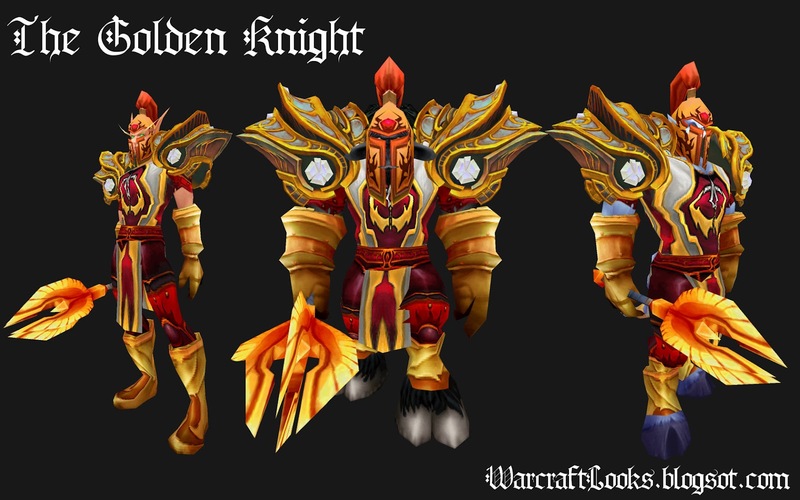 I've entitled this outfit "The Golden Knight" and it really shows an entire outfit can be based around around a tabard to great effect. Head past the jump to find the mogging items used in this fantastic gold and red look. Here is the character I first saw in the set. Shiny! 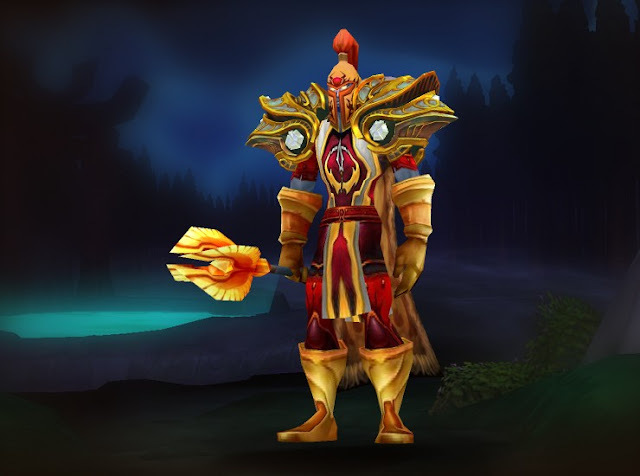 I have always loved those shoulders - so happy to see a nice transmog set that incorporates them. The mace is also a great item IMO. Druid Mogging Outfit - "Shut Yo' Mouth!" Cloth Mogging Outfit: "Green! Glorious Green!"